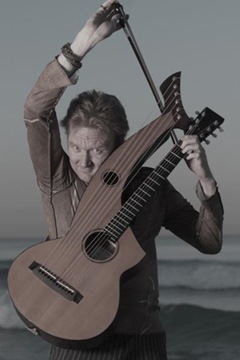 British Guitarist Jason Carter has toured in more than 70 countries and recorded 14 CDs. He has received Music Awards from the Crown Prince of Bahrain and the Government of North Korea for ‘Building Bridges Through Music’. Jason tours mostly as a solo guitarist but also collaborates with musicians from Asia and the Middle East on a regular basis. He has played with people such as Michael Manring, Phil Keaggy, Nigel Kennedy, Clannad, and has been featured on compilation albums with John Paul Jones, Joe Satriani, Steve Morse, Allan Holdsworth, John Scofield, Jeff Beck, Larry Coryell, Hariprasad Chaurasia and Trilok Gurtu.